Sage Narada once met the ruler of Dravidian country, Chitrakethu on earth. Chitrakethu welcomed him. Narada observed that although Chitrakethu’s father Singadvajan had gifted away all riches of the world, because he had not performed Annadanam, he did not receive the Divine Ambrosia. Chitrakethu then decided to perform Annadanam. 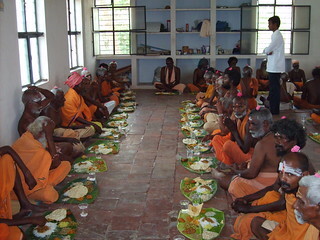 Narada informed him that the merit one obtained by feeding a million people elsewhere on earth could never equal that of feeding a single human in Kashi.The merit gained by feeding just one sadhu at Arunachala, will outweigh that of feeding a million, at Kashi!Chitrakethu then performed Annadanam everyday at Arunachala. By this act of the son, the father in the celestial region received nectar and in due course passed on to the various upper regions and finally merged in Shiva. One should endeavor to perform annadanam, particularly at Arunachala, for it benefits not only the person who does it, but also bestows great spiritual merit upon his kith and kin. 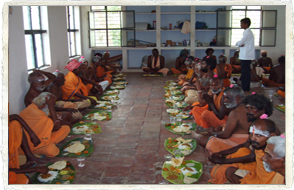 Athithi Ashram was the first Ashram in Tiruvannamalai to initiate feeding Sadhus in the evening. This was necessitated as many Sadhus were going to sleep without dinner. This service has been going on for the past 15 years. 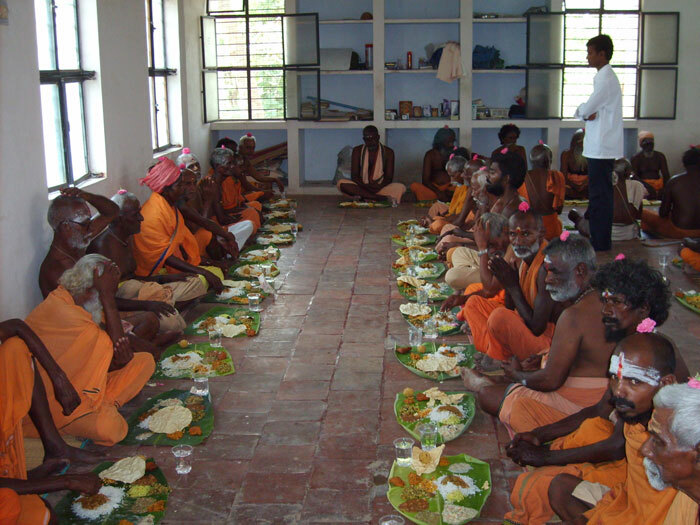 Worshipping and feeding Sadhus, considering them as the embodiment of Lord Shiva in human form was started by the great Saiva saint Thirugnana Sambandhar and Saint Thirunavukarasar. 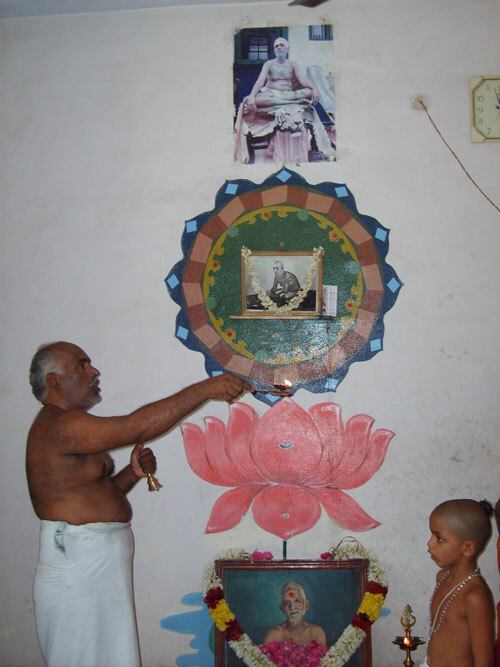 Bhagavan’s birth star is Punarvasu. And on this sacred day every month, Sadhus are invited, Bhagavan’s Ashtothara Pooja is performed, following which, Maheshwara Pooja is performed to the Sadhus, wherein they are worshipped as the embodiment of Lord Shiva . After this worship, the Sadhus chant Shivapuranam and are sumptuously fed and offered dakshina. If you are interested to participate in this noble seva, please click here to see the categories in which you can participate.